The first Capoeira Regional School and actually the first Capoeira School at all, was created by Mestre Bimba in 1932. He called it Academia-escola de Capoeira Regional at the Engenho de Brotas in Salvador-Bahia. Several years later he was invited to proclaim Capoeira as National martial art of Brazil. Capoeira Regional is characterized with more acrobatic moves. It is much faster and aggressive than Capoeira Angola and the players are often using head kicks and strikes, jumping and spinning movements. Capoeira Regional is very grace and admirable style that stops your breath from the first sight. Unlike Angola, the Regional style introduces the Capoeira ranks. In the past, those Capoeiristas who have shown sufficient skills in Capoeira have been awarded with coloured scarves. Now, the good players are given cords (coloured belts). In November 2001, Alexandre Ronan (Mestre Pequines) decided to create his own Capoeira group of Classes Capoeira Regional under the supervision of his Mestre, Mestre Suino of Group Candieas, where he had been training for 17 years. For the first 6 months, the name “Pequines Capoeira” was used until members had proposed, voted and agreed on the current name of “Group Capoeira Nago”. The term Nago refers to the name given to groups of runaway slaves who had been brought to Brazil from Africa during the slave trade. 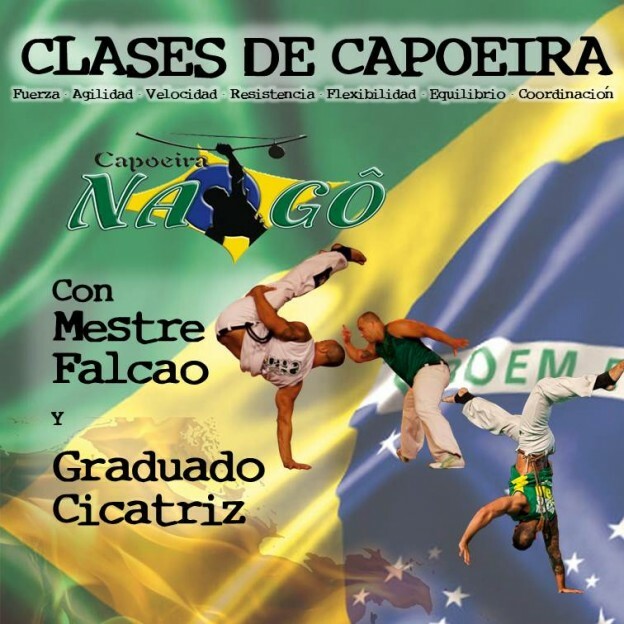 In 2002, the Capoeira Nago Cultural Sports Association was founded in Brazil, with the aim of supporting and facilitating Group Capoeira Nago’s progress, promoting the principles and traditions of Capoeira. Combining a contemporary style, with modern aesthetics, supported by physical expression. Through the evolution of educational and creative practices and in the search for new fighting techniques and physical movements, the association strives to increase the recognition of the value of Capoeira as a genuine cultural art form of Brazil. Today, Group Capoeira Nago is represented across the world giving Classes Capoeira Regional. In fact, it has become the fastest growing Capoeira group over the last few years thanks to the excellence and competence of the teachers working under the coordination of Mestre Pequines in Goiania, Brazil.